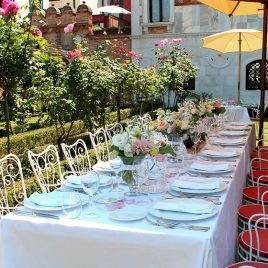 With its extraordinary gardens and its frescoed rooms, the Cà Nigra Lagoon Resort offers you the ideal setting for any type of event you would like to organize in Venice, whether it be cultural, corporate or worldly: installations and art exhibitions, cocktails, receptions, theme parties, gala dinners, conferences, workshops, training courses, team building, photoshooting. The ingredients for a successful event are all here: a convenient, easily accessible location , fabulous and versatile rooms able to accommodate up to 120 participants, a quiet and exclusive atmosphere, the most modern of technologies , professional assistance of the staff. 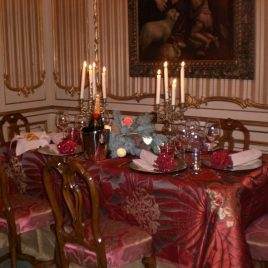 The Event Office of the Hotel is at your complete disposal and on demand assists you with the organization, technical equipment and every other necessity you may have. Contact us at +39 041 2750047 or sales@hotelcanigra.com to request further information on meeting set-up and the special meeting packages of Cà Nigra Lagoon Resort. 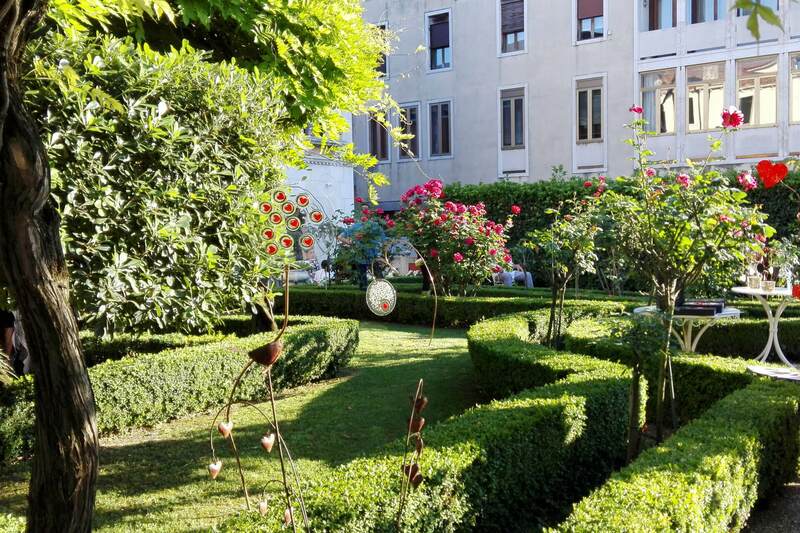 Extraordinary italian-style garden on the Canal Grande. Internal garden which lends itself to receptions and parties of great glamour in between the centuries-old trees, palm trees and flowers. 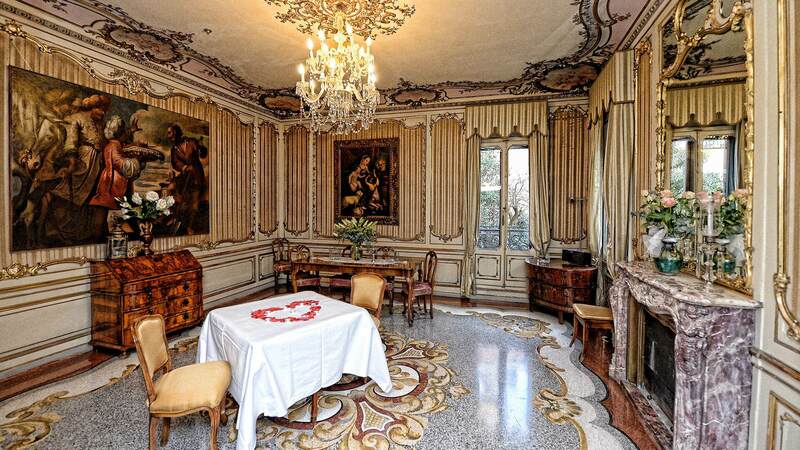 Frescoed meeting room, for 50 people, decorated with original 17th century painted furniture and precious Rubelli and Bevilacqua fabrics, featuring the best technology services. 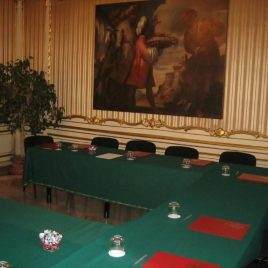 Attentive to the needs of all its guests, Hotel Ca’ Nigra has a meeting room able to accommodate up to 40 people for its business clientele. Ideal for seminars and meetings, the meeting room boasts a strategic location, close to the train station and Piazzale Roma as well as to all public transportation making your business trips easier, simpler and faster. By choosing Ca’ Nigra you can also make your business meetings exclusive with welcome drinks, coffee breaks and business lunches. 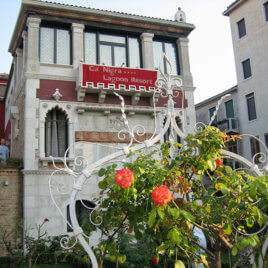 Ca’ Nigra Lagoon Resort is a refined and evocative location for memorable events in Venice. 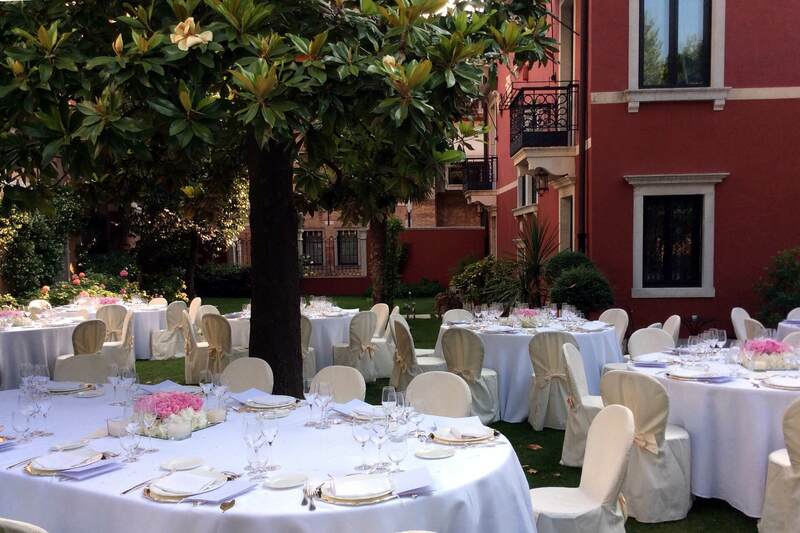 Meetings, banquets, theme parties, cocktails…whatever the special occasion to celebrate, we will assist you in choosing the type of event and the most suitable scenario, in the lush gardens or in the elegant rooms of the building. 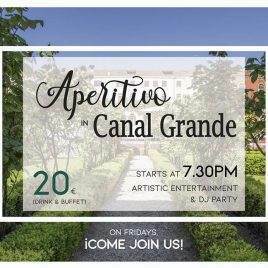 Don’t miss the chance of participating in the exclusive events of Ca’ Nigra Lagoon Resort: brunches, cocktail parties, theme parties, vernissages…the compositions change, but not the glamorous atmosphere of this unique location.